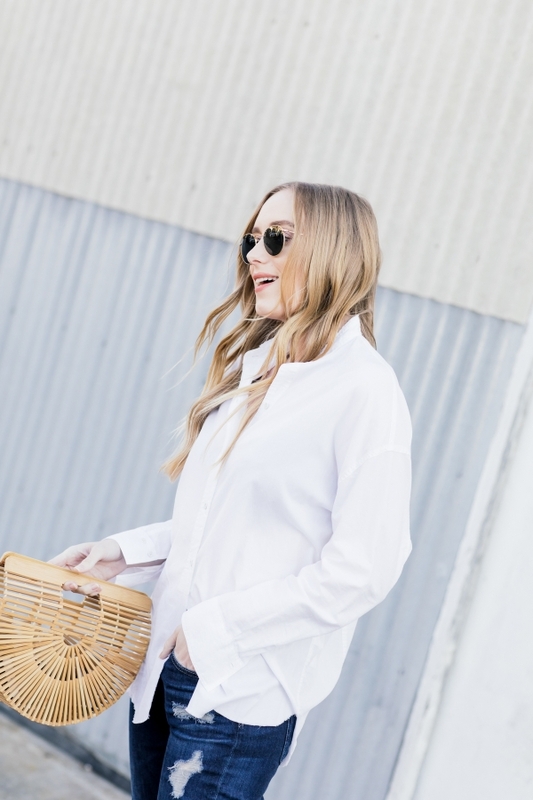 Classic Spring staples always include a crisp white blouse, boyfriend denim, and slides. Such an easy way to feel chic and pulled together. I feel like my collection of white button downs grows by the year but I always find one that has a slightly different detail. So I can justify it right?! As far as slides go, I own 4 pairs of Clergerie shoes now because I am so obsessed. My friend Ashley turned me on to them a while back and I have been in love ever since. Sweet and simple today. Just how I like it. 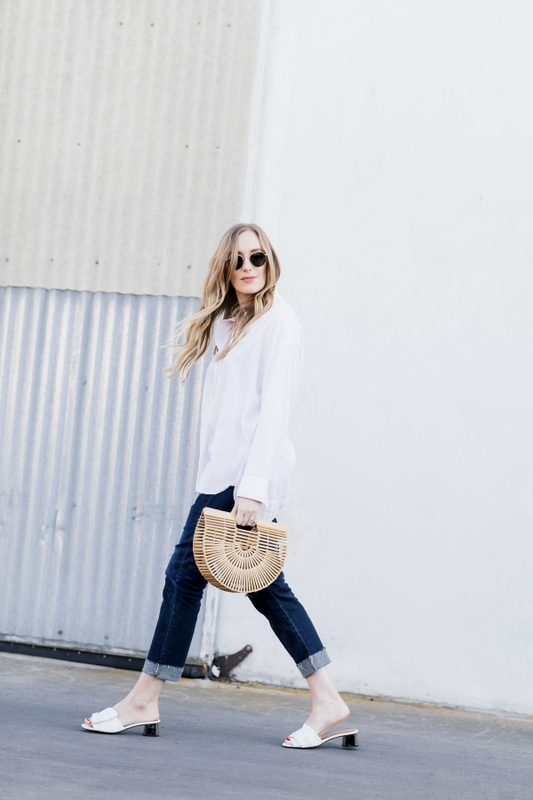 Rena - In love with this crispy spring look! Natali - This is such a pretty casual outfit! 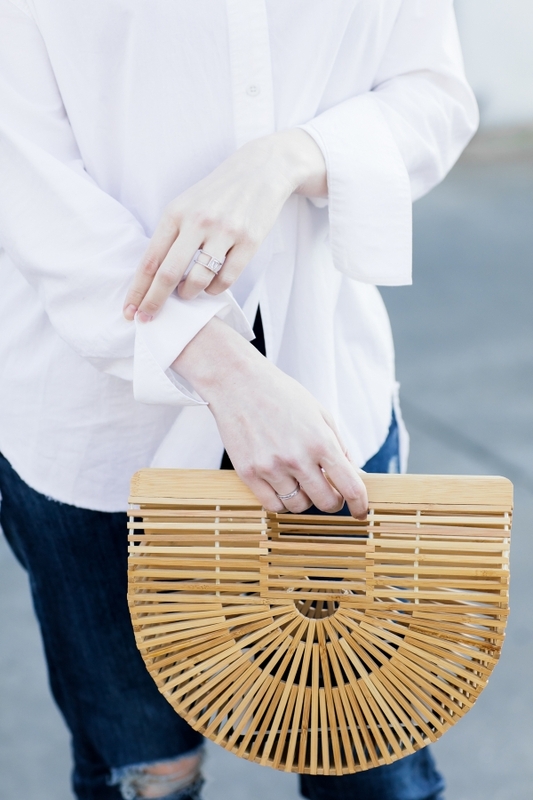 I love your basket bag! 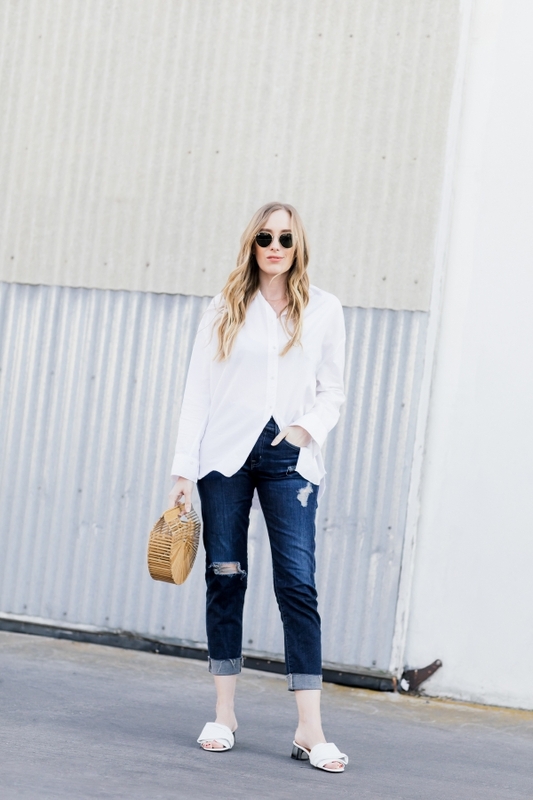 Sharon - These is such a breezy look, jeans and a white top are such a classic. And I love, love those white slides!! LoveCompassionateLee - You can definitely justify it! There’s no such thing as too much white in your wardrobe. I think white tees, dresses, and blouses are so refreshing and sophisticated.